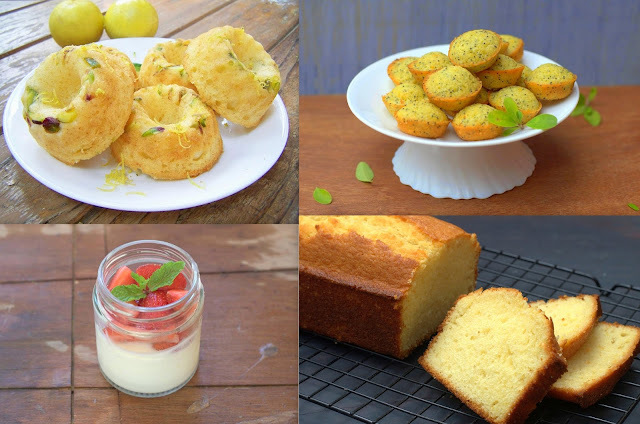 Using orange, lemon or lime zest in your desserts and bakes gives them that zesty kick and aromawhich can't really be compared! Once you get hooked to this, you will not even want to touch synthetic essence with a 10 foot pole! Here are a few tips for zesting citrus fruit, tools you can use. I absolutely love using zest, orange zest in particular. It is not rocket science of course, but it may help to remember a couple of things when you zest citrus fruits. Zest is the outer colored part of citrus fruits. The natural oils in the skin gives that amazingly fresh aroma. Lemons have this thicker skin which gives you a generous lot of zest. Use lemons if you can find them as these limes can be stingy. You could also try using sweet limes. I like using Malta variety oranges as the skin is thicker. Of course as much as possible, try to use whatever is recommended or complements the recipe. Remember to use really fresh fruits for the best aroma. The sad looking one from the bottom of the fridge will not work for sure. Try to use organic oranges, unsprayed ones as we will be using the skin here. It is important to wash these well and wipe them dry. Wash with warm water, in case you suspect the fruit is waxed. 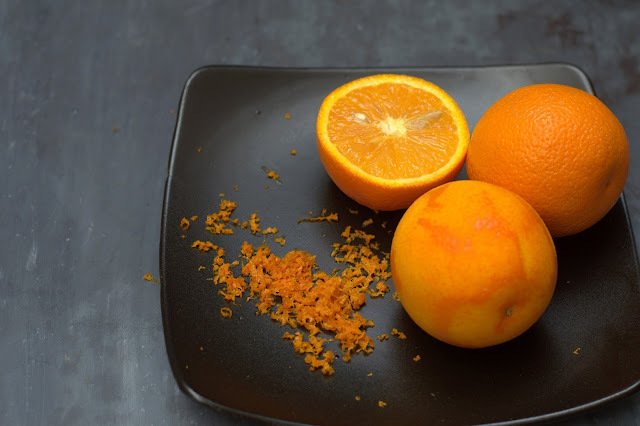 If your recipe needs you to use both juice and the zest, zest the orange first and then squeeze the juice. If you do it the other way, it will be more pain than pleasure! So we hold the zester at an angle and go back and forth, try not to use too much pressure as you do this.We need to scrape out just the colored part, not the white bitter pith here. Keep rotating the fruit as you go. As much as possible, Try to grate it directly above the batter or eggs, where ever you want to use the zest. If you touch this with your hands, you may lose some of the oils here. You will hands will smell gorgeous though! If you grate directly without measuring with a spoon, you would just have to take an educated guess. Use more rather than less,doesn't really hurt!Always use grated zest immediately. I like to whisk the zest with a small whisk into a small part of liquid in the recipe so that it is evenly distributed. A clump of it would taste terrible. If you do not have a zester, you can take a really sharp peeler or knife and peel out only the colored part. Then grind it with some sugar in the smallest jar of your processor till the zest is really fine. Remember, this sugar must be part of the recipe ingredients. Then we have these other kinds of citrus zesters. One which gives fine zest is good as otherwise you may get strands of it in your mouth unless you strain the batter. Not always pleasant. Then this is something you could use to grate out thin longish zest, appropriate for using as a garnish or your cakes and desserts. Check these out here and here. Do note these strands dry in minutes, so best limited to blog and Instagram purposes! I am not sure if a regular box type cheese grater would work well, it would be difficult to use, the zest not as fine, plus you may injure your fingers. Then you could also make your citrus zest powder. I came across powdered lemon zest in Rose Beranbaum's Baking Bible. Take super fine sugar and rub into the zest. Spread it on a plate in a thin layer. and let it feels dry to the touch Let it dry at room temperature for about 12 hours. Grind it using a mortar and pestle, strain it using a fine meshed strainer, grind and powder again. Store airtight, you can freeze this airtight for 2 months. She suggests using this as a garnish. 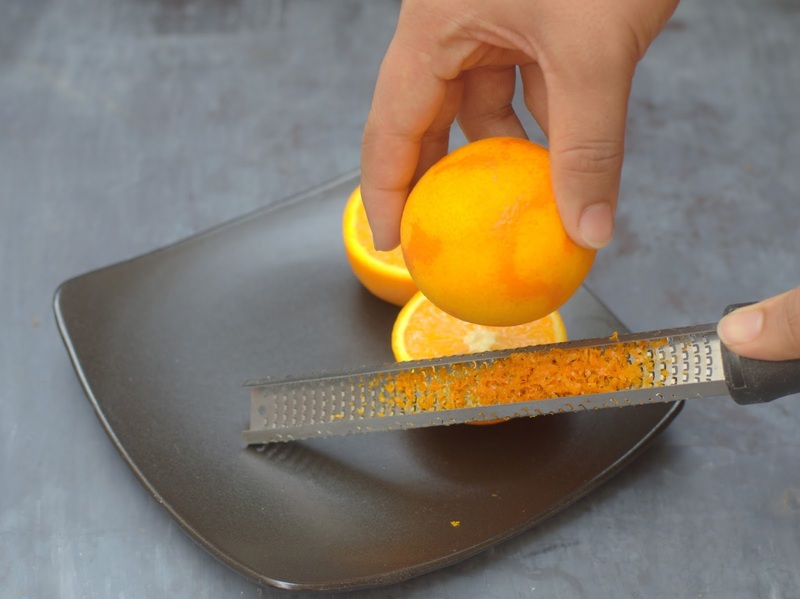 Once you start using freshly grated zest, you will never look at oranges or the peel to be precise, the same way again!